NEW UK & INTERNATIONAL DELIVERY RATE REDUCTIONS! Please note that UK Economy Shipping may attract a maximum of 48 working hours delay before your item is shipped during any busy season. If you need your item earleir we suggest using the express options. * All DPD Courier options come with a 1 hour delivery time slot on the day of delivery. At Horizon LEDs we aim to dispatch goods at the earliest opportunity available, but occasionally we understand that some of our customers will require their goods by a specific time or date and we aim to accommodate such requests. If you require this service then please contact us and we will get back to you as soon as possible, alternatively you may go ahead and purchase your product(s) and select the Next Day Courier or Saturday Delivery at the checkout. Super Saver Economy – goods under this option will be normally sent via Royal Mail standard post depending on the product(s) and the order value. With this option you can normally expect your goods within 2 – 3 days, but in some cases this can even be the next working day depending on the post. But we advise allowing at least 5 working days before contacting us, as this is the requirement from Royal Mail. It can however take up to 5 working days, depending on the location and other geographical factors within the way logistics operate at Royal Mail. Royal Mail Tracked – this option is an upgrade from our Super Saver Economy and goods will be sent either 1st or 2nd class Recorded Delivery depending on the product(s) and the order value. This option will require a signature upon delivery and will take no more than 2 working days to arrive depending on when you order your product(s). Next Day DPD Courier – if you require your goods urgently for the next working day then this is the option for you. We will send your product(s) via a next day courier providing you fully place your order by 2pm on a working day. If you chose this option on a Friday your goods will be delivered the following Monday. If you choose this option on the weekend, your goods will be delivered on Tuesday. We reserve the right to allocate your order to any courier company which we use. Majority of the time these orders will be sent via DPD next day courier services but on some occasions due to the nature of our products being small in size and low in weight we may use other alternative courier providers whom offer the same next day service and benefits. Please note that postcodes which start with BT, IM, GY and JE cannot be guaranteed for next working day delivery, these postcodes are advised for delivery up to 48 hours. Saturday DPD Delivery – this option is excellent for orders which are placed on a Friday, as you will received your goods on the next day, Saturday. This option is guaranteed as long as you place your order before 2pm on the Friday before. During bank holiday and seasonal periods, order must be placed by 10am on the Friday due to early collections. You may also choose this option on any other day of the week in order to receive your goods on the coming Saturday – an excellent option for those who have weekends off to sign for their package(s). Please note that postcodes which start with BT, IM, GY and JE cannot be guaranteed for a Saturday delivery. Sunday DPD Delivery – this option is excellent for orders which are placed on a Friday, as you will received your goods on the next day, Sunday. This option is guaranteed as long as you place your order before 2pm on the Friday before. During bank holiday and seasonal periods, order must be placed by 10am on the Friday due to early collections. You may also choose this option on any other day of the week in order to receive your goods on the coming Sunday – an excellent option for those who have weekends off to sign for their package(s). Please note orders made on Saturday will not be delivered on Sunday as we are closed on the weekends. Please note that postcodes which start with BT, IM, GY and JE cannot be guaranteed for a Sunday delivery. Free Delivery - we offer a free delivery service on orders over a certain value or when there is a delivery promotion, which will be found across our website, this is currently on orders over £75. This service is the equivalent of our 'Super Saver Economy'; if you wish for your order to arrive earlier then you will be given the above delivery options at the checkout for you to choose from. This is only applicable to orders within the UK unless otherwise stated. At the checkout stage you will be automatically given this option if you qualify from free delivery. The majority of our deliveries will require a signature as proof of delivery. If you are not in or if no one is available to leave the goods with, you may be required to collect your order from the local collection office if it was delivered using Royal Mail, or your nearest courier depot if it was delivered via courier. Although both Royal Mail and courier firms do have the options to re arrange deliveries, and this is something, which you will be asked to arrange. We always aim to charge a fair and honest price in all our post and packaging. Having taken into account the packaging required for bulbs and third party delivery costs; we reserve the right to adjust our postal charges in case of any price increases incurred by Royal Mail or any other courier. If there is a price decrease then this saving will of course be passed onto our customers. Once your order has been dispatched and/or you have received our dispatched email then the delivery address cannot be changed. Please ensure you give the correct delivery information when placing your order. Further information on this can be found in our Terms & Conditions. All delivery times and estimates are given by us in good faith and are not legally binding. After all we cannot take responsibility of delays, as once the goods have been collected then it is in the responsibility of the delivery partner. As with any mail order goods, certain postcodes will unfortunately always incur an extra day in delivering your goods. Please note that if your order delivery is delayed by our courier due to weather conditions, the delivery fee is no refundable once the order has been shipped and physically left our warehouse. As we will always place a clear note on the website homepage to make our customers aware of this delay. Once the goods have been labelled and collected the delivery fee is non refundable for delays caused by unforseen weather conditions. We are pleased to announce that we do offer International Delivery with Royal Mail on all our products. Please checkout as normal and choose your country from the drop down list, this will then display the cost for shipping to your selected country with various options to choose from. If you need your products urgently then we suggest opting for the International Express Delivery options such as DPD, otherwise your order can take as little as 3-5 days or as much as 14 days for delivery, although this can be rare. This is also dependant on the country where the goods have been shipped. Please contact us if you are unsure of anything. 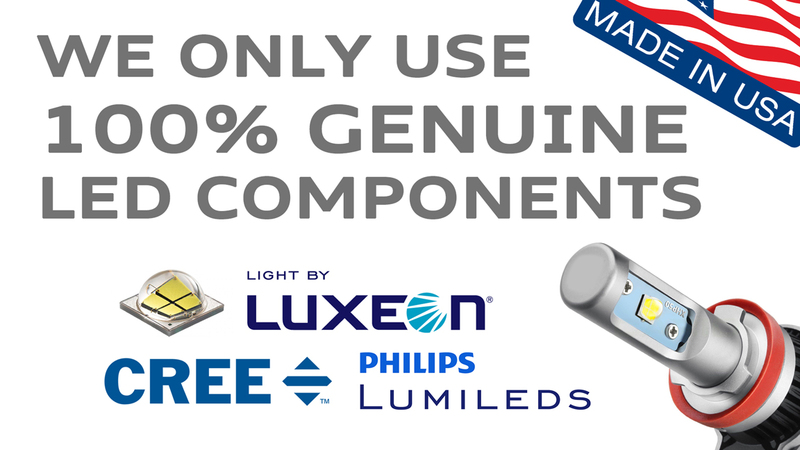 Within the EU there will be no customs charges on our products, countries outside of the EU may be subject to customs fees and charges and these are the responsibility of the customer and NOT Horizon LEDs. If you have not received your order within 7 working days of receiving your dispatched notification email, then please contact us as a matter of urgency. If goods are damaged or faulty upon delivery then please inform us within 3 working days of receiving your order and we will rectify the issue. Lastly we advise to check the contents of your order with the invoice, which we send along with the goods. In the very rare instance that there is something missing from your order, then please contact us strictly within 24 hours and we will investigate and rectify the issue, without you incurring any costs. Please refer to our Terms & Condition for further information, or please contact us if you need further assistance.